When children come to New Hope, we see them as family. We make it our mission to care for them as individuals, focusing on their specific needs, personalities, and interests, advocating for them as if they have been adopted into our family. 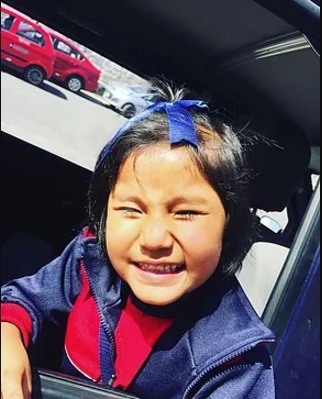 Flor came to New Hope in August 2016 when she was 4 years old. She and her 3 sisters – Maria Fernanda (11), Julia (7) and Ana Karina (10 months) – have been part of our New Hope family for 8 months now and we are so grateful for all the growth we’ve seen in their lives already. The girls came from a dysfunctional and abusive family situation where they had endured many traumatic experiences. Their mother has 6 children with three different fathers. None of the men had stayed involved in the lives of their children and over time, each of the children experienced trauma through the impact of neglect, alcohol addiction, and various abusive incidents in their family and community. Their mother’s own abusive background and alcohol abuse left her incapable of properly caring for them and keeping them safe. The situation was eventually reported to the authorities by their neighbors and a local judge removed the sisters from their mother’s care. The girls were brought to New Hope together where they have begun a new chapter, which we pray will bring healing and a new hope through experiencing the love of Christ. We are excited to watch the personalities of Flor and her sisters continue to develop and to find more ways of connecting with them individually, supporting them as they heal from the wounds they have suffered in the past. As our staff and volunteers continue to care for them, we pray they will come to know the great love of the Lord and that they will find true healing and peace in Him. Join us in praying for Flor and her sisters this month! As a child sponsor, you can help a child like Flor get the care they need to not just survive, but to heal. Learn more about child sponsorship and sign-up today!